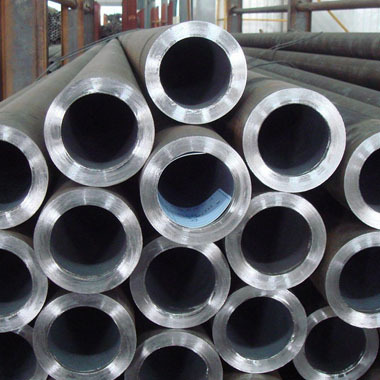 At Aspirinox Alloys Inc. we offer Nickel 200 Pipes, in various specifications, sizes, shapes, thickness, according to the requirement of the client. Pure wrought nickel the product holds excellent properties. Nickel 200 pipes come with good mechanical properties and resistance to a range of corrosive media. Good thermal, electrical power it is also highly resistant to corrosion and an even higher resistance to oxidation. Also, possesses toughness, hardness, yield strength, heat and strength for demanding applications, excellent surface stability as well as the ability to maintain itself in high pressure. Nickel 200 Welded Pipes are available as Fabricated, ERW, EFW and SAW. It is also available in a variety of forms such as round, square, rectangular, hydraulic etc. with a plain, bevelled or trodden end. The product also has a high warranty and ability to sustain at different temperatures. So Al possesses high tensile strength. We offer Nickel 200 Seamless pipes in various grades namely ASTM B161, ASME SB 161 as well as ASTM/ASME B/SB 622. Nickel Alloy 200 Pipes are used in various heavy duty applications including chemical storage and processing, aerospace, defence and food processing. Specifications for Nickel 200 Pipes. If any specification is not mentioned here, please use the contact button for quick quote. Request the latest Nickel 200 Pipes List. Please click on the request a quote button or click here to request the updated price list and ready stock information along with your requirement. Aspirinox Alloys INC maintains a stock of all standard items and can export them at best price for Nickel 200 Pipes.